Do you need an extension for your vacuum hose? 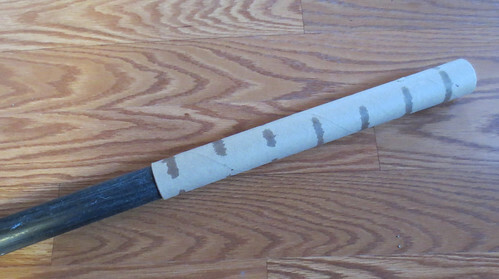 Did you know that you can recycle a cardboard tube into a handy vacuum hose extension? Here is plastic wrap cardboard tube that I recycled and use on my vacuum hose. The heavier cardboard tubes work best but a paper towel cardboard roll will work also. Maybe you need to get under a tight spot and need a flatter tube. Here is a tube I pressed down on the end of it to create a narrower opening. This flatter tube works great to get under your refrigerator to vacuum up lint. The flat opening allows you to get under the coils and vacuum up more lint where a normal vacuum tool won’t reach. Or maybe you dropped an earring or other small item and need to recover it. 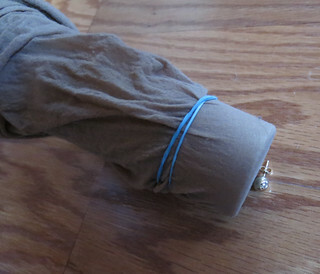 You can cover the end of your vacuum hose extension with pantyhoses or a nylon stocking. Secure the sock in place with a rubber band and now you can vacuum up the item without fear of it going into your vacuum bag. 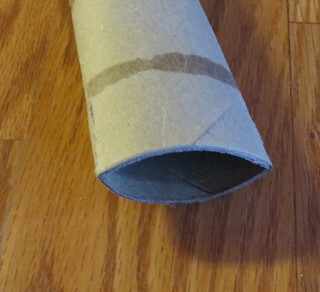 As you can see there are several useful ways to use a recycled cardboard or paper towel roll along with your vacuum cleaner. I hope you found these ideas handy and will use them to make your life just a bit easier. ahh ! that’s good, clever girl.